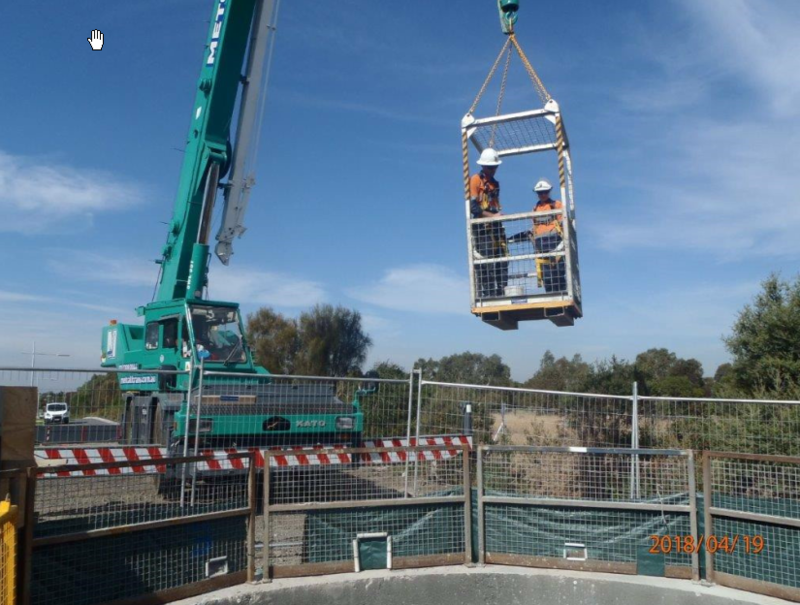 We are constructing new sewerage infrastructure in Lalor, Campbellfield and Epping to reduce the likelihood of sewage spills occurring during storm events, and to cater for growth in Melbourne’s northern suburbs. The project involves our contractor, John Holland Pty Ltd, building a 2.4-kilometre-long large-diameter sewer pipe at depths of up to 35 metres. The pipe is being constructed by tunnelling underground using large Tunnel Boring Machines (TBMs), and the tunnel involves crossing under the Merri Creek and Hume Freeway. The blue line shows where new pipe has been built. The red line shows where new sewer pipes will be tunnelled. The red circles represent deep shaft sites. John Holland Pty Ltd built five construction shafts, which enabled the underground tunnelling to occur. These shafts will become permanent access manholes after the project works are completed. The first stage of works involved excavating the shafts to depths of up to 35 metres. Cranes then lowered the TBM down into the shaft, allowing tunnelling work to begin. 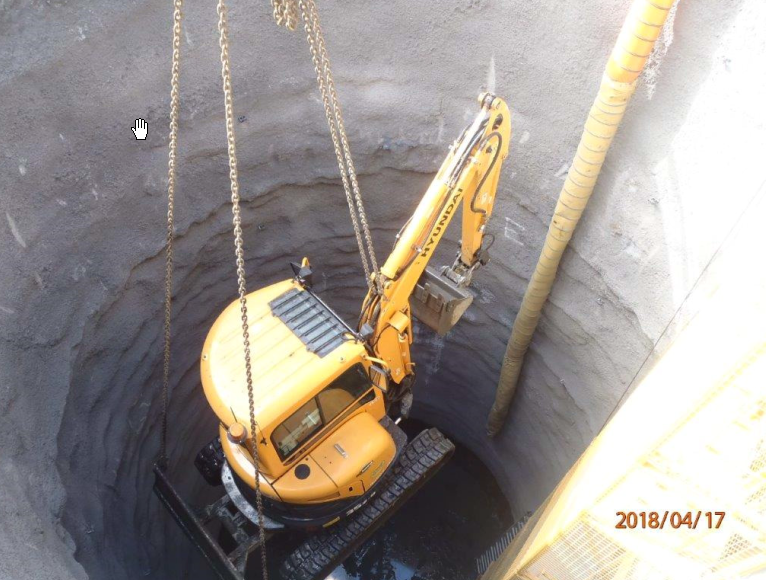 John Holland Pty Ltd has completed 90 per cent of the underground tunnelling, and has excavated four of the five shaft sites that will eventually become sewer manholes. The remaining works involve excavating the final shaft site at the Freeway location, building the sewer manhole structures, and completing the final 10 per cent of tunnelling. The shafts will become permanent access manholes after the project works have been completed. From September 2018, the Horne Street Park will be closed to the public, as the area is temporarily being used as an access point for construction vehicles. The site will be fenced off to ensure the safety of the local community. The Horne Street Park will be reinstated and reopen in mid-2019, when construction activities for the Epping Main Sewer Project have been completed. Pedestrians and cyclists can still access the shared trail through the Merri Creek Parklands via nearby Misty Court and Oberon Boulevard. As underground tunnelling is occurring 24/7 for this project, the Horne Street Park access point may be accessed at any time. We will make every effort to complete noisy activities during regular business activities, where possible. The first stage of works commenced in early December 2017 in land to the west of the Hume Freeway (near Rotino Crescent). John Holland Pty Ltd is working above-ground to set up construction sites, including excavating the shaft sites. The shaft sites should be completed by October 2018. A crane lifts an excavator out of a shaft. Construction activities started in early December 2017, and should be completed in late 2019, depending on weather and ground conditions. Temporary shaft loctaion - by end September 2019. John Holland Pty Ltd is working at ground level Monday to Friday, between 7.00am and 6.00pm. Some Saturday works will also be required. Tunnelling activities are occurring 24 hours a day, 7 days a week, though these activities should not be noticeable at ground level. The works associated with this project will not have any impact on customers’ water and sewerage services. People close to the work sites may notice some noise from construction equipment and truck beepers during work hours. 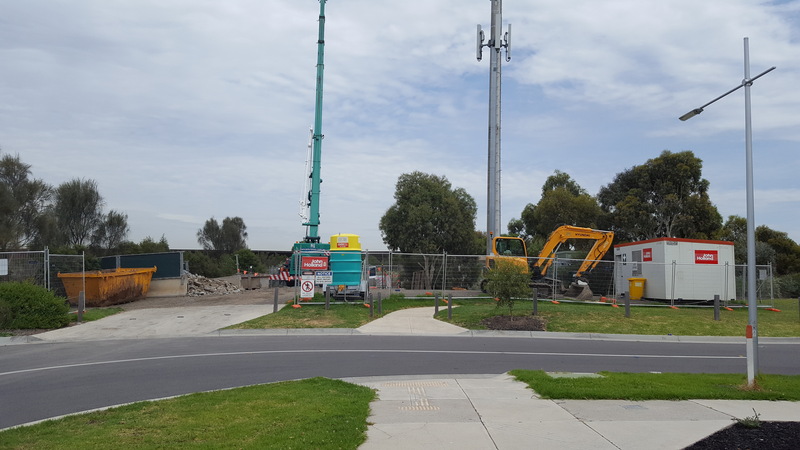 While there will be visible construction activities near the shaft sites, local streets and the walking tracks in the Merri Parklands will remain open. 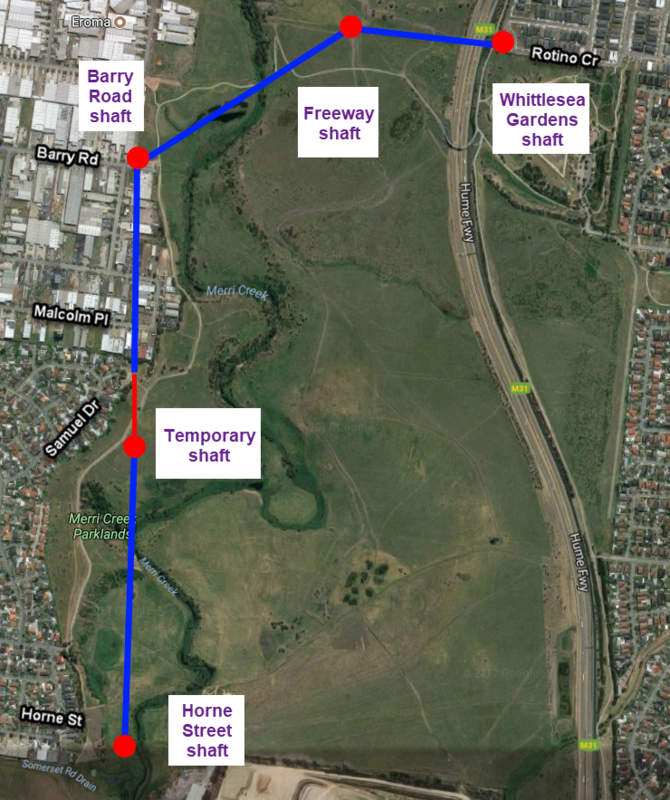 The ‘Whittlesea Gardens’ shaft site is only be used as a ‘retrieval shaft’, where the TBM will be lifted out after it has tunnelled there from the ‘Freeway’ shaft. The TBM will be dismantled and transported away with trucks. Yarra Valley Water and John Holland Pty Ltd is making every effort to minimise the impact of these works on people in the community, and on the natural landscape.